The idea behind detox diets is that supposedly our bodies are exposed to a lot of toxins in our everyday lives, and we must rid our bodies of these toxins. The most common toxins are things like household cleaners, indoor and outdoor air pollution, and preservatives in the food we eat. The theory is that our bodies are incapable of getting rid of these toxins completely, and they build up inside the body causing health problems and other issues (like being overweight). On a detox diet, you ingest certain foods for a specified period of time that will help to cleanse these toxins from your body. It is important to understand that there is really no scientific evidence backing up claims that our bodies are loaded with toxins that we need to be cleansed from. The fact is the body is designed to purify itself by eliminating wastes through sweat, feces and urine. Also, our liver and kidneys are designed to help eliminate many of these toxins. Some medical professionals swear by detox diets to lose weight, but not all of them do. This detox diet was made popular by the book written by Naturopathic doctor Roni DeLuz entitled 21 Pounds in 21 Days, The Martha Vineyard Diet Detox. Basically, you only ingest specialized fruit and vegetable liquids for 21 days on this detox diet. There are also some solids taken, and supposedly the combination of these vegetable and fruit drinks and extra vitamin, mineral and antioxidant supplements cleanses your body. The problem with the Martha’s Vineyard Diet is that there is no protein in this diet. And our brains need protein to function in a healthy way. 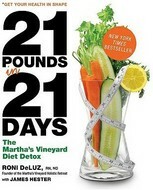 Plus, the Martha’s Vineyard Detox Diet is also very difficult to maintain for a full 21 days and feel satisfied. More about the Martha’s Vineyard Diet Detox from WebMD. This detox diet purports that when we cook our food, the cooking process takes out enzymes that our bodies need to detoxify themselves. So, if we were to simply eat these foods in their raw state, we would be ingesting these enzymes and thus helping our bodies to detoxify. If you switch to a Raw Food Diet, it means eating no meat and no dairy. Instead, you eat nuts, fruits, seeds, grains, and vegetables. Oh, and you can drink water, juices, and coconut milk. The reduced caloric intake allows for moderate weight reduction. Supposedly, you are healthier for eating the foods in their natural state and therefore getting those enzymes. The problem with the Raw Food Diet is that there is not enough protein because you eliminate both meat and dairy from your diet. More about the physical and mental problems associated with a Raw Food Diet. 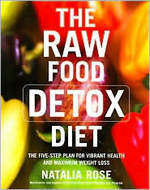 This detox diet was created by The Reverend George Malkmus and his wife Rhonda. 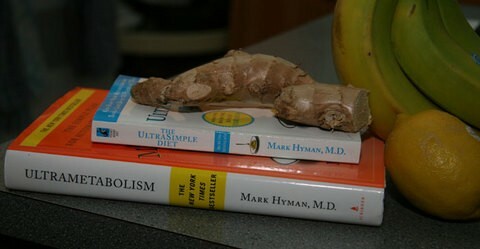 The premise of the Hallelujah Diet is God designed our bodies to only eat raw or living foods. This means no meat — since meat is essentially a “dead” food. It also means no dairy, because according to this diet, dairy foods are “dead” foods. Similar to the Raw Food Diet, it is believed that you need to eat foods in their natural state, although juicing your fruits and vegetables is considered okay on the Hallelujah Diet. There are several supplements that the diet claims you need, and of course the website for the Hallelujah Diet provides those supplements. For example, one of the supplements is a barley powder supplement that you can only get through their website. The biggest problem with the Hallelujah Detox Diet is that it does not provide enough calories for a person to feel full and satisfied. While you will definitely lose weight on this diet, it will probably be more muscle loss, rather than fat loss — which is not healthy. Also, there is a very restricted list of foods that you can eat, so eventually you are going to get bored with what is available to eat. Our bodies require a variety of foods to stay healthy, and the Hallelujah Detox Diet is too restrictive to do that. More about the Hallelujah Diet from WebMD. This detox diet was created by an Australian physician named Laura Cabot. Her theory is that the liver becomes overloaded (and even blocked up) with waste products if it is not cleansed on a regular basis. In order to cleanse the liver, you mainly eat veggies and fruits, as well as poultry and fish. However, you don’t get to eat dairy. She does advocate drinking 8 to 12 glasses of water every day. Healthy fats such as salmon, avocados, and virgin olive oil are part of the Liver Cleansing Diet as well. The idea is to make your liver function better, and this in turn will help you to lose weight. The Liver Cleansing Diet appears to be the best of the detox diets available right now. It’s also the most healthy, because it does not deprive you of protein, and it offers a wide variety of foods. In fact, it encourages variety. Basically, the idea is simply to eat healthy and eliminate those things that are not so healthy. This, in turn, will help your liver to function better, your body will eliminate toxins better, and you will be more likely to lose weight. Oh, and the Liver Cleaning Diet is an 8-week diet. More about liver cleansing diets, in general. This detox diet (also known as the Lemonade Diet) was originally made popular by Stanley Burroughs in 1976 when he published The Master Cleanser. Then, in 2005 Peter Glickman (a man who is not a health professional by his own admission) made it popular again with his book, Lose Weight, Have More Energy, and Be Happier in 10 Days. The Master Cleanse Detox Diet is one of the more dangerous diets because for 10 days you only consume fluids, and not even healthy ones at that. Your day starts with drinking a quart of salt water solution first. Then, the main fluid you consume is a lemonade mixture that contains cayenne pepper, fresh squeezed lemons, and maple syrup. You drink 6 to 12 8 oz glasses of this lemonade mix every day for 10 days, along with the quart of salt water. At the end of the day, you drink an herbal tea laxative. The lemon juice supposedly dissolves waste in the colon, the maple syrup is for energy, and the cayenne pepper rids the body of mucous. The herbal tea laxative is supposed to help eliminate waste, and the salt is supposed to be some kind of colon flush. Why is this detox diet dangerous? The main problem is there is no food with any nutritional value for 10 days. That alone is extremely dangerous. At least with the other detox diets you are getting some nutritional value from the foods provided. More about the Master Cleanse Detox Diet. The only detox diet that seems reasonable to try from this list of popular detox diets is the Liver Cleansing Diet — because it offers a variety of foods and you aren’t giving up foods that you need for your body to function properly. You should never begin any detox diet without first consulting your physician, especially since many of them are not good for your health. Some even require you to be under the care of a physician. Keep in mind, some people should never try detox diets including teens, pregnant women, and people with health conditions such as diabetes. Do Detox Diets Offer Any Health Benefits? Do Detox Diets Work? Are They Safe?